Shop Fender Bassman 100T 100 Watt Tube Bass Amplifier Head from AMS with 0% Interest Payment Plans and Free Shipping. 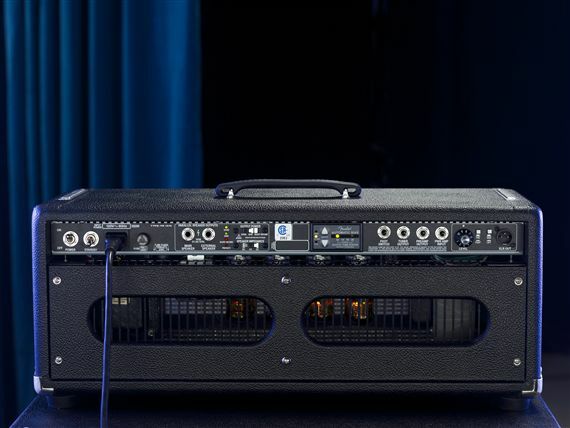 The Fender Bassman 100T Tube Bass Amplifier Head features a 100-watt power section with one 12AT7 and four 6L6 tubes and a tube preamp with two 12AX7s for a remarkably powerful tone with the perfect blend of vintage and modern flavor! The Bassman 100T head provides Vintage and Overdrive channels, each featuring individual controls, for great tonal possibilities from fat cleans to thunderous low-end grind. Fender has done it again, making an incredible amp that meets the needs of bassists at all levels! Great sounding amp...not for loud bands though. I really like the Fender Bassman Pro line. It's an absolute Ampeg killer and that's exactly what I was looking for in a tube bass amp. I already own a Super Bassman 300 and the matching 6x10 cab and the 4x10 cab that I use for smaller gigs. I'm in a few bands and I wanted to get a second head for backup (it IS a tube head after all) and so I could leave one at each rehearsal space since I ride a motorcycle to and from rehearsals. Anyway I was hoping the 100T would meet my needs as well as give me an option for even smaller rooms and recording but while it IS a great sounding amp, at 100 watts my lowest notes (I play 4-strings) bump up against the headroom threshold and they lose their punch. If you play in a jazz band, a blues band, an old school R&B band, etc. this amp will deliver the goods but if you play rock or metal (I tend to lean more towards the former) you'll either need the Super Bassman 300 or you'll need two 100T's. 100 more watts would give enough headroom for rock. Great, but only for a few things.